1. 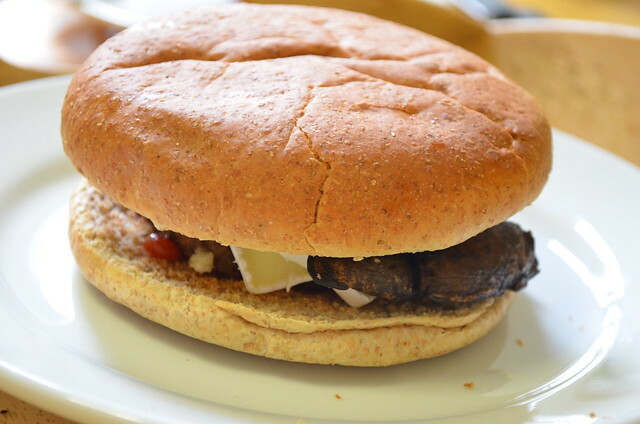 Chop chorizo, mushroom (optional) and brie into slices. 2. Stick the burgers in the oven to allow plenty of time to cook (mine took 20 minutes from frozen). 3. Cook the chorizo in a pan and when done, place to one side. You won't need any oil in the pan as the chorizo will release plenty. Do not waste that lovely paprika oil left in the pan by the chorizo - cook the mushrooms in this and then place to one side when done. 4. Toast the buns under the grill (optional). 5. Give the under side of the bun a generous squirt of ketchup and then place the burger on top once cooked. 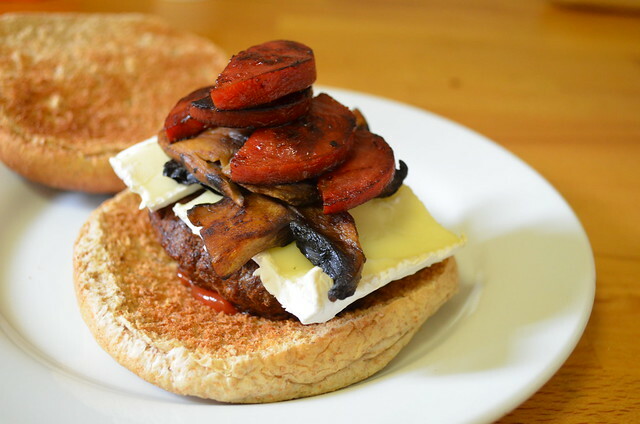 Pile the brie, chorizo and mushrooms on top of the burger as you wish. 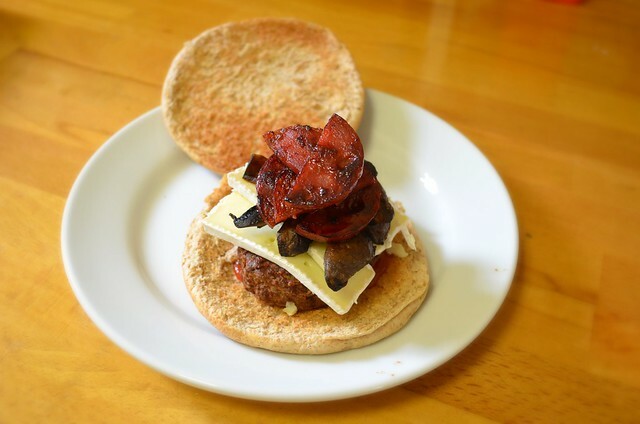 I like to have the brie sitting on the burger so it goes all melty and lovely. If this doesn't melt to your liking, stick the burgers under the grill or in the oven for a few minutes. What started off as an experiment and simply using up ingredients, turned out to be a winning combination. 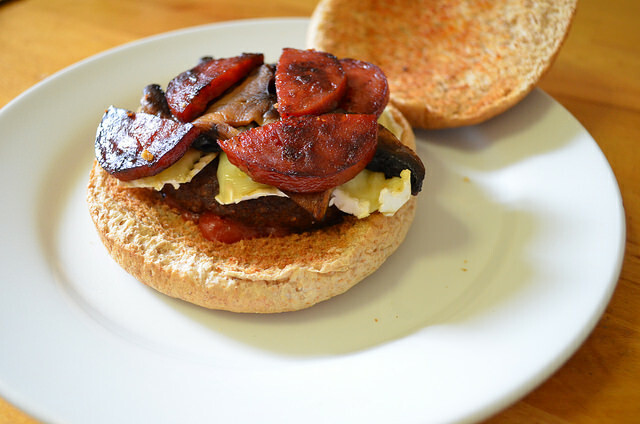 Brie works brilliantly with bacon and pancetta, so it was only natural that it would pair well with chorizo too. 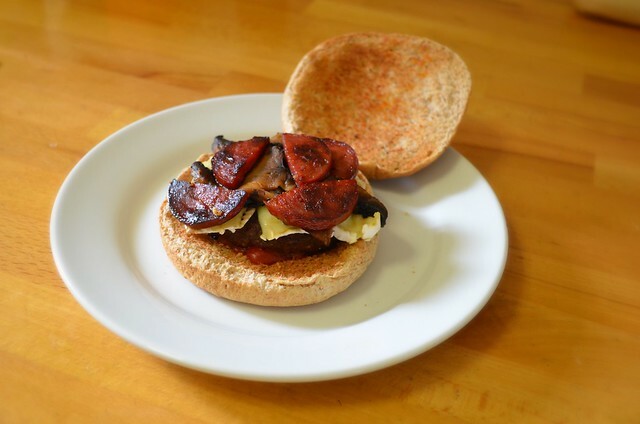 The extra spice from the chorizo gives the traditional cheese and bacon sarnie a well needed refresh. It's a little bit naughty, but completely worth it. So if you are on a diet, give yourself a day off and say screw it - it'll be the best thing you ever did.